Medicine ball slams are an effective and surprisingly fun way to develop power in your lats (back). This is an advanced exercise which requires a base level of strength so it should only be attempted after a few months of regular resistance training. 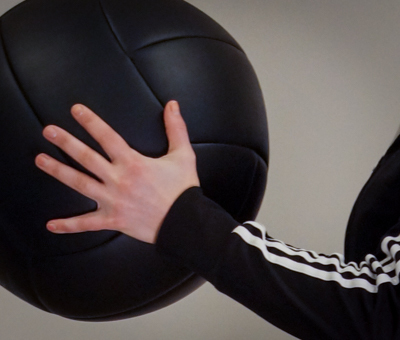 Hold a medicine ball with both hands and stand with your feet at shoulder width. This will be your starting position. Initiate the countermovement by raising the ball above your head and fully extending your body. Reverse the motion, slamming the ball into the ground directly in front of you as hard as you can.